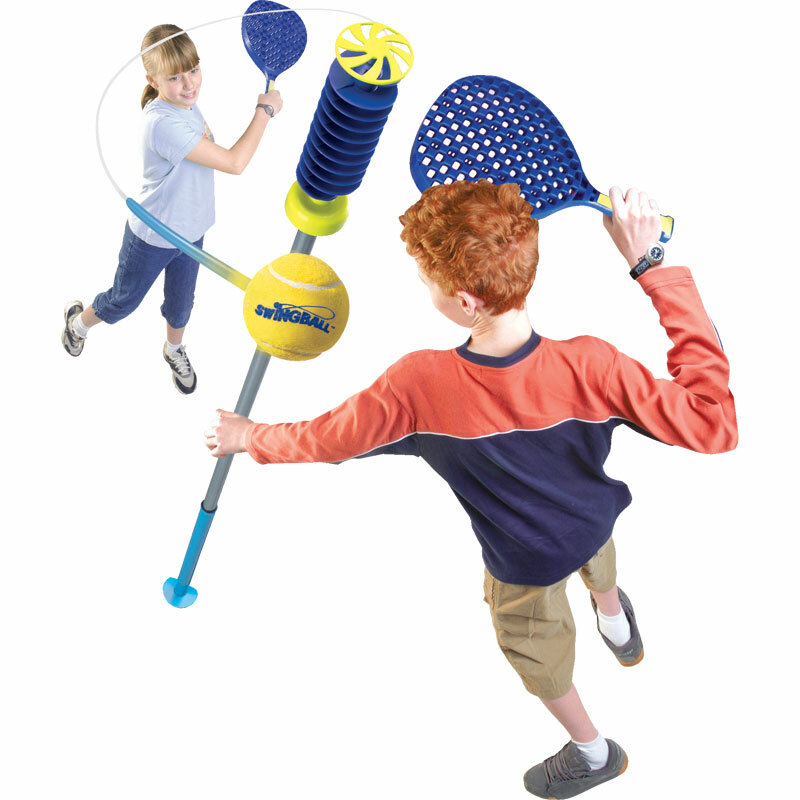 The Classic Swingball Set is a great way to develop hand-eye co-ordination in younger players and is also ideal to play as a family. Children and adults will enjoy hitting a real tennis ball at full whack in truly competitive matches. 1 x Swingball pole - adjustable. Comes in 3 parts, each part is 65cm long. All 3 can be used or just 2. 1 x Ball and tether. On the face of it this is a good product. However, I purchased two and required bases for them. So purchased two of the bases on this website, OBVIOUSLY thinking they would be a match, they're not. This needs to be made clear.